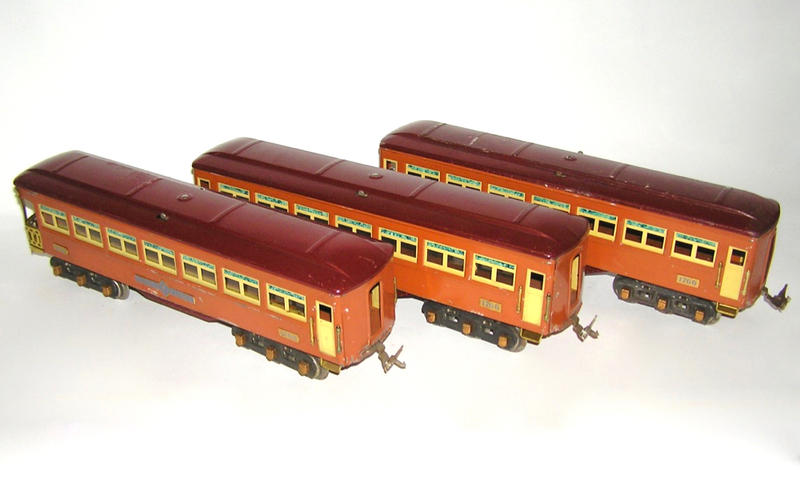 Here is a set of prewar Lionel Standard Gauge Passenger Cars. 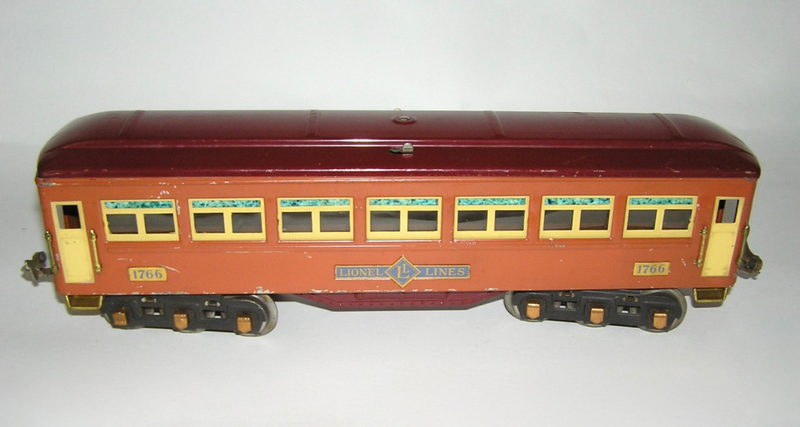 This is the original passenger cars from "Washington Special" set from the 1930s. This set includes - the No. 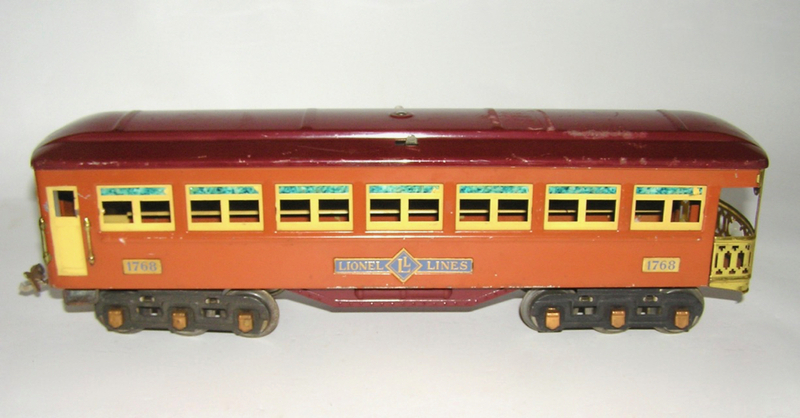 1767 Baggage Car, the No. 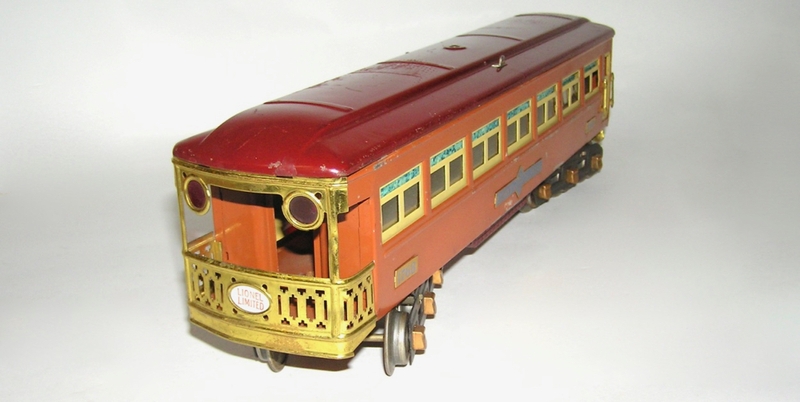 1766 Coach, and the No. 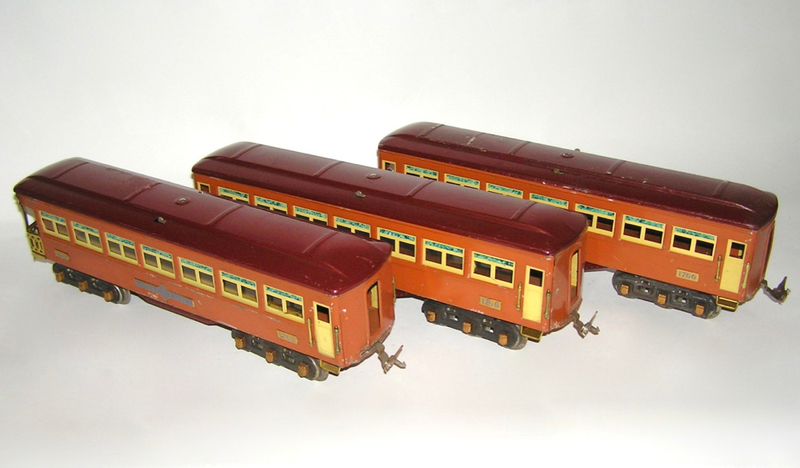 1768 Observation -"IVES Transitional" cars. All done in terra-cotta with maroon roofs - brass trim. 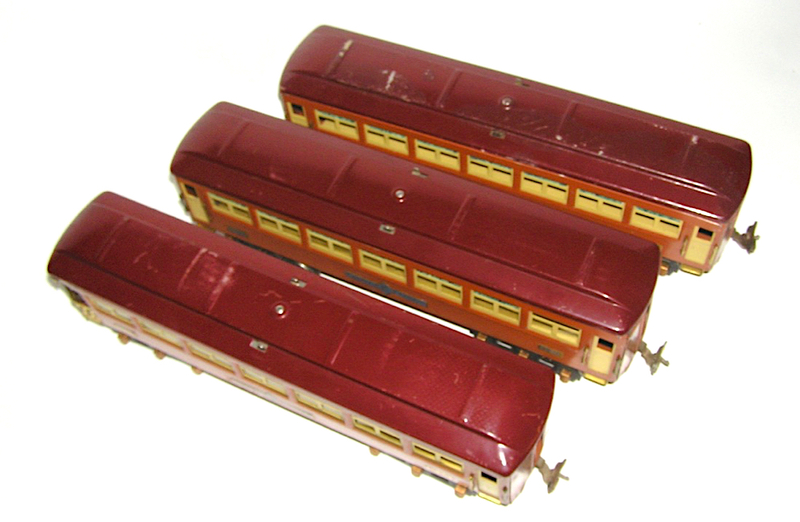 This set is in its original condition and shows wear - as seen in the photographs. 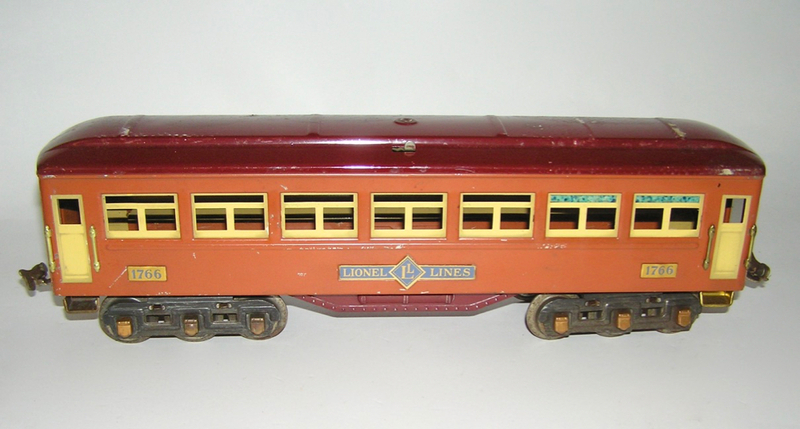 The sides have some paint scratches, as pictured. 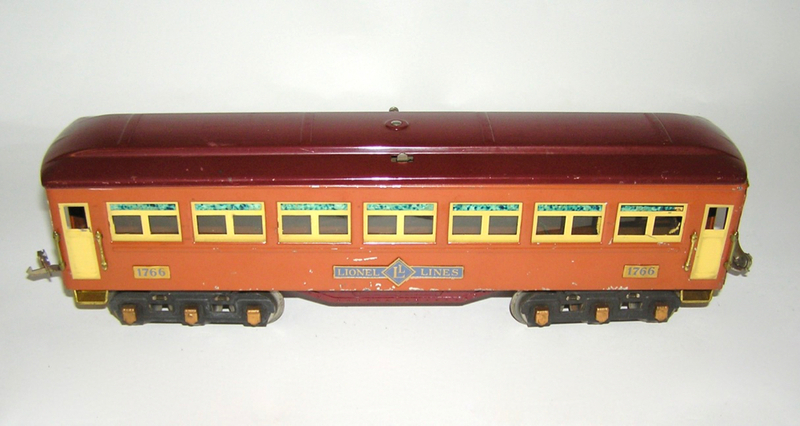 The second 1766 car has significant paint touch up to the roof. The other two have some paper residue which stuck to the roof. No missing handrails. Trucks and bottoms look mostly clean. Don't miss, and please ask any questions. Thanks.